Getting around safely from place to place is a big part of our daily activities. We need transportation to go to work, movies, doctor’s appointments, hair appointments, to visit family and friends, etc., etc. We are fortunate to be able to get around safely on our own, but what about our elderly parents? How is mom’s vision? Can dad remember where he was going? Do they have good reaction time in case of an emergency? These thoughts can be scary, but for many of us have become an unfortunate reality. 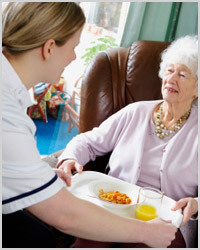 Affordable Home Care offers caregiving services that help with all activities of daily living, including transportation. With Affordable Home Care you won’t have to worry about mom getting to a doctor’s appointment, and mom will be happy knowing she can safely be driven to the salon to get her hair done. Safety is our number one priority. All of our caregivers are vetted and screened prior to employment, and this includes background checks on driving records, proof of valid driver’s license, and current automobile insurance. We make sure these credentials are always in good standing and perform annual checks on driving records. Never worry about mom or dad getting safely around with a trusted caregiver from Affordable Home Care.